Mr. Oien’s interest in golf has spanned over 50 years. 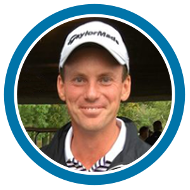 He played as a four year letterman on his State Champion high school team; was a scholarship recipient member of the Division I University of Wisconsin Golf Team; has first and second place finishes in the Southwest Florida PGA Stroke Play Championship, and has won several other PGA Club Professional sanctioned events. Mr. Oien has had extensive training in the fields of golf instruction, professional club fitting, and general fitness and conditioning. 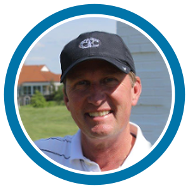 He has attended private seminars and studied and worked with world renowned golf instructors such as Jim McLean, Hank Haney, Mike Hebron, famed sports psychologist, Dr. Richard Coop, and dozens of other leading PGA Professionals from around the country. He has been selected to assist and serve on many local foundation boards and charities throughout the community such as Doug Pelfrey’s Kicks for Kids Foundation, Fifth Third Bank, Boy Scouts of America, Senior Citizens Services of Cincinnati, Northern Kentucky Chamber of Commerce, University of Kentucky Big Blue Caravan, Arby’s Charity Foundation, and Steve Cauthen’s Milestones Youth Foundation just to name a few. Outside of teaching golf, Mr. Oien enjoys fishing, hiking, boating, composing music, working out and spending time with his family.